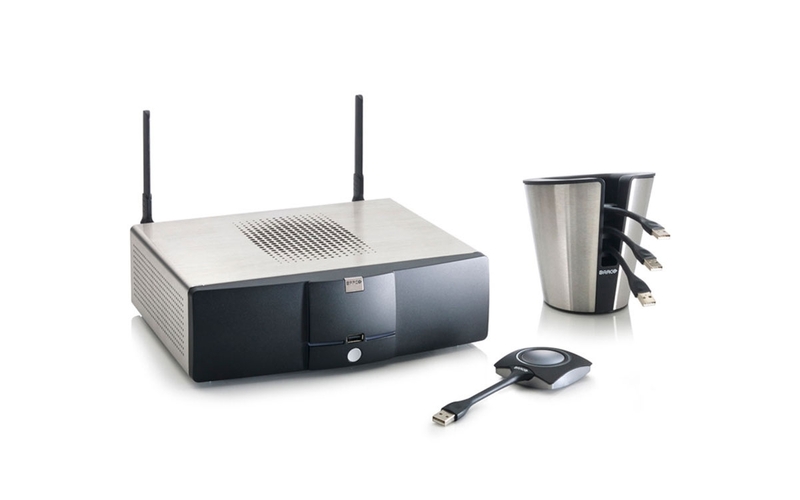 The innovative Barco Clickshare system is a great way to connect and display your devices with no installation – just connect our device and go. Remove the clutter of cables without compromise, for a crisp, high resolution presentation. 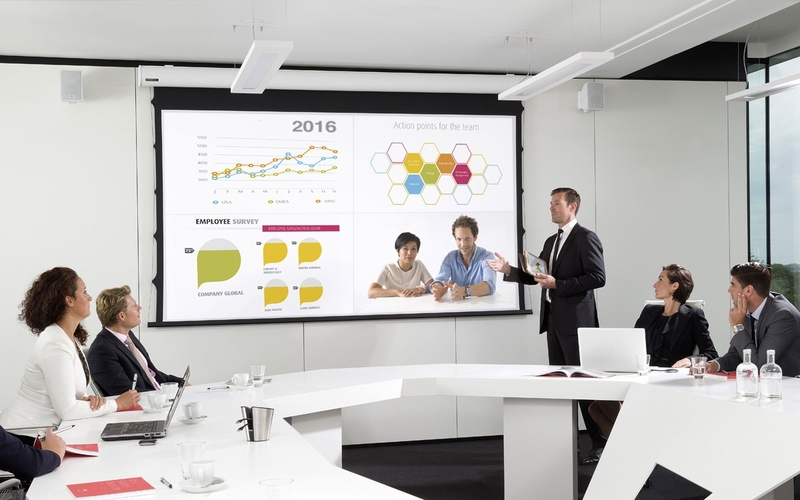 Barco ClickShare lets you share your content on the large meeting room screen in the most intuitive way possible. Cables are no longer needed: just start your presentation by simply pushing a button – whether of a USB-device you connect to your laptop PC or MAC, or by using the user-friendly app for iPhone, iPad, or Android. What’s more, ClickShare also automatically displays the most optimal resolution, without messing up the layout on your laptop. We work with a wide range of businesses – both in our local markets of Basingstoke and Reading, as well as international brands – designing boardrooms and meeting rooms that maximise presentation technology. Combined with our office design and furniture capabilities, we offer the ideal office management partnerships for dynamic businesses looking to create productive and attractive workspaces.